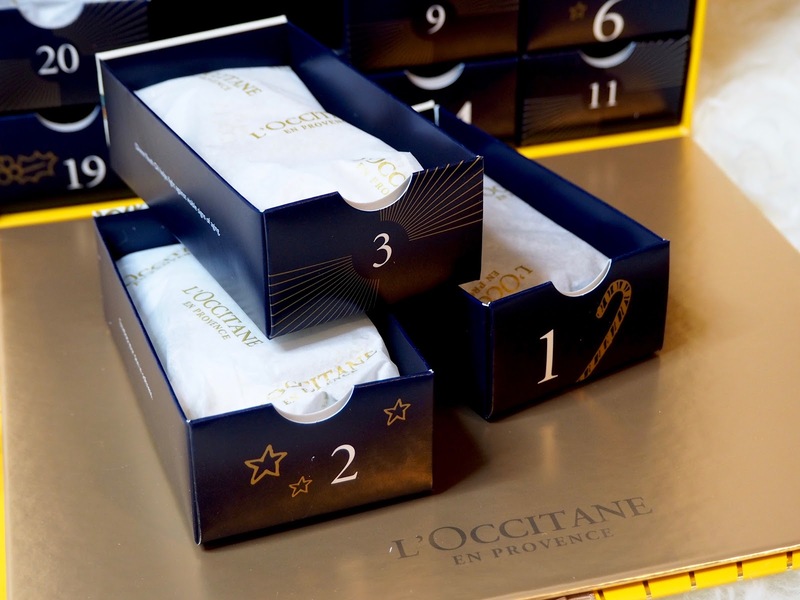 The classic beauty advent calendar is shaped like a book and follows a traditional advent calendar format of a surprise behind each door, whereas the luxury calendar is a bright yellow gift box tied with a golden ribbon. When you untie the ribbon the box reveals a darling little drawer for each of the 24 days in the count down to Santa popping down the chimney. I love the styling of this calendar and I will definitely be hoarding the packaging and re-using the little drawers for something or other - once you've emptied them you can reverse them so instead of showing the days until Christmas they make a picture - how clever! I've popped a list of the contents of the advent calendar towards the end of this post, so if you're planning on getting the calendar and want to be surprised by what tissue wrapped treats are within each of the drawers, don't scroll all the way to the bottom! 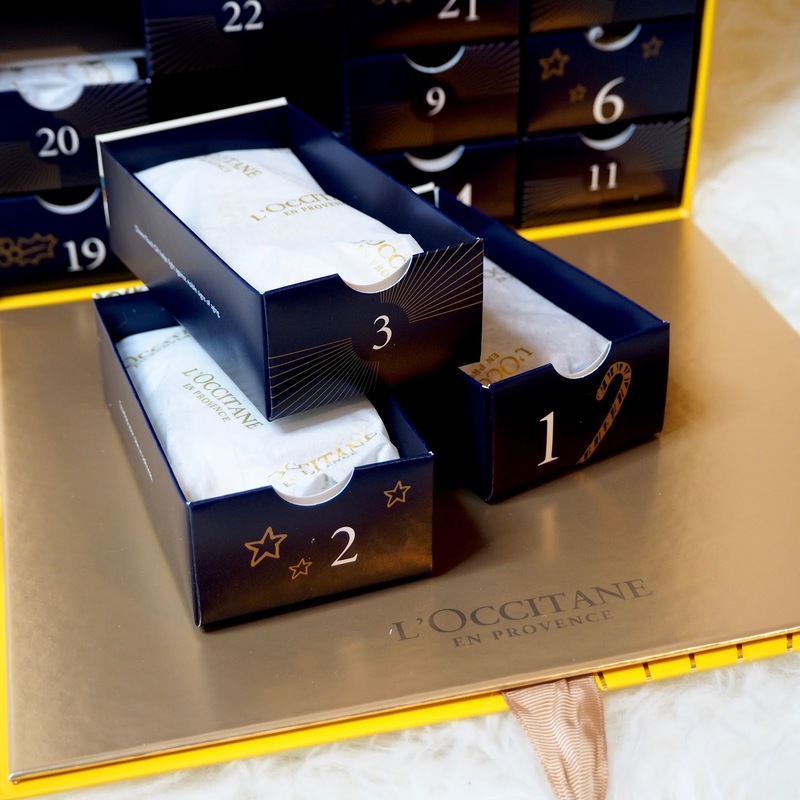 The main difference between the Luxury and Classic advent calendars, other than the style of the packaging and way of opening the doors or drawers, is that with the Luxury calendar you'll find more decadent skincare treats, whereas the classic calendar is more bath and body focused. Both will arm you with enough minis to last through weekend getaways and city-breaks throughout 2018, if like me that's how you like to use your travel sized products. 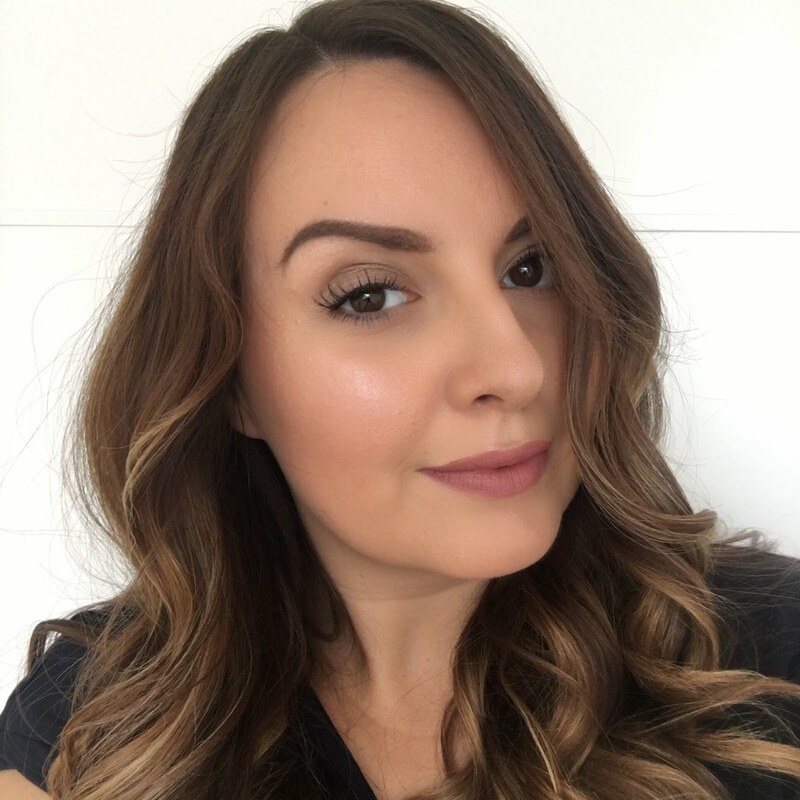 I'm very excited to see some of my favourite products have been included such as the gorgeous Almond Shower Oil and the super-nourishing Divine Cream. I'm also excited to try out some products that are new to me, including some fragrances I've not sampled before and some of the wider skincare ranges. 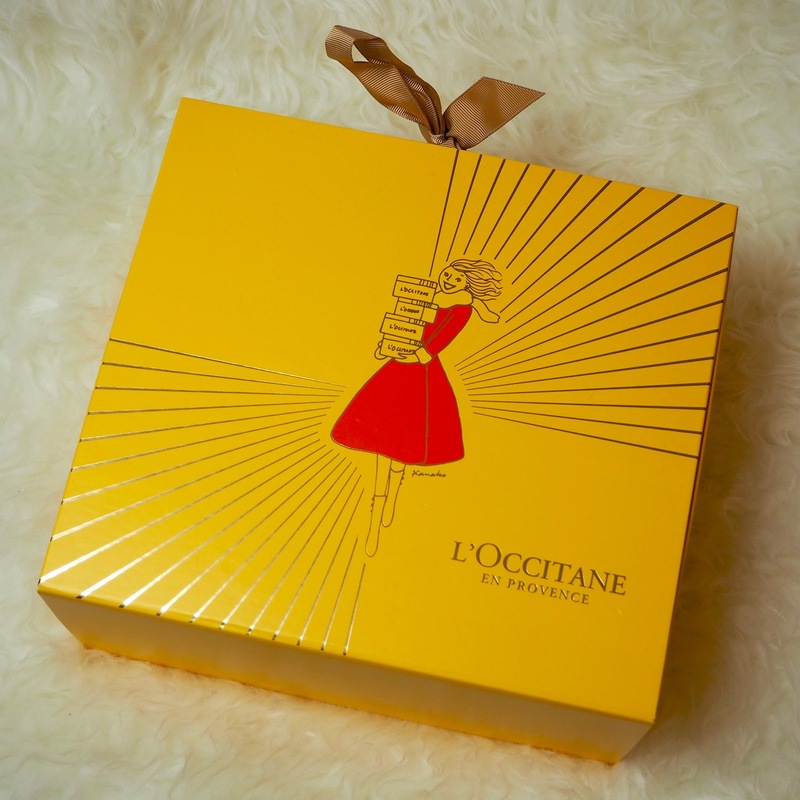 The L'Occitane Luxury Beauty Advent Calendar is available now at loccitane.com and is £89 but contains £129 worth of products, or you can go for the L'Occitane Classic Beauty Advent Calendar which is £49 and contains products worth £87 in total.